There are 2 reviews of Icon Racing. A wearble flanker of the original Dunhill Icon fragrance. I wasn't sure why this one was needed, given the existence of three total "Dunhill Icon" men's fragrances. At any rate, Icon Racing is a woody-aromatic scent that seems to fit somewhere between the original Icon (silver bottle) and the Icon Elite (black) one. My only guess, based on my test of Icon Racing, is that this flanker is attempting to line up with the "modern melange" men's colognes that seems to be chic today: Ferragamo's Uomo, Rabanne's Invictus, Armani Stronger With You / Acqua di Gio Absolu, JPG's Le Male Ultra, Herrera's CH Men Prive, YSL L'Homme Ultime, et. al. There is that requisite pungence, freshness, and sweetness, which younger wearers would definitely appreciate. Icon Racing has nearly no connection to the original, and that seems to be the point. It is squaring off against an increasingly larger array of scents aimed at the younger deomographic wanting a part-beast mode scent that fits their lifestyles. For me, I appreciate its place in the field, but I feel no compulsion to have it in my own collection (esp. as I happen to have all the scents that I'd put in my "modern melange" list above!). Smells good in a synthetically sweet, fresh way, similar to many modern scents made to appeal to the masses. My issue with this fragrance isn't the smell but the lack of projection. It became a skin scent very quickly on my skin, which is no good for a scent that should be so mass appealing. If people could smell this, they would like it. Longevity is pretty good, so although it's a skin scent, it does stick around all day. Dunhill Icon Racing Shower Gel and Aftershave Balm 90ml Each! Brand New! There are no member images of Icon Racing yet. Why not be the first? Dunhill Icon Racing - Like Green Valley? 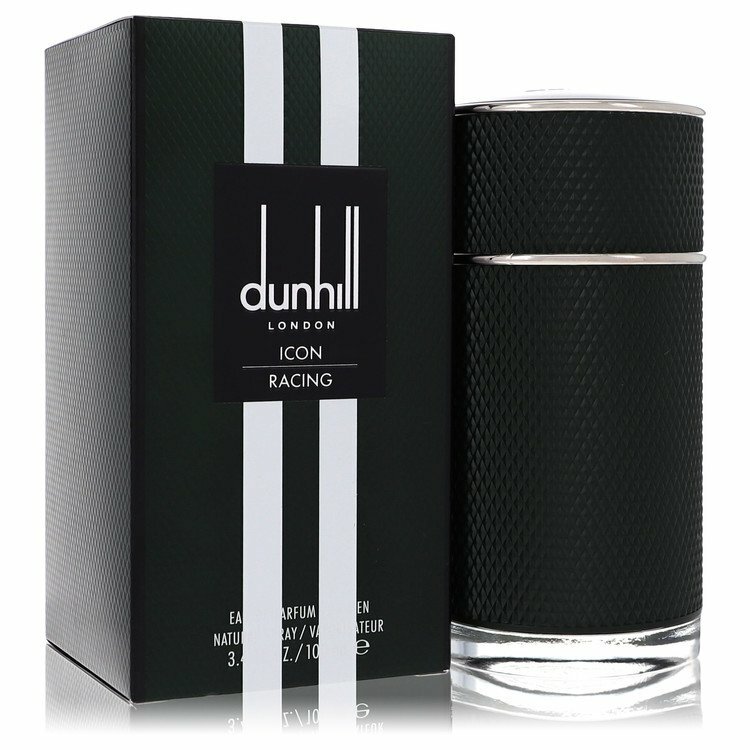 NEW: Dunhill - Icon Racing!